Soils are teaming with life, from the microscopic (bacteria) to the macroscopic (earthworms). 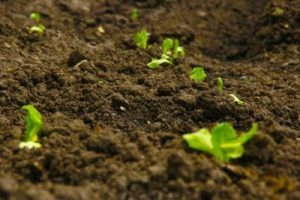 In this article, we’ll examine some of the common soil organisms and discuss what they do in the soil. Here’s a list of common organisms found in the soil. Soils that do not have an abundant amount of soil organisms tend to have soil problems. Keep in mind that the soil ecosystem is extremely varied and small changes in common soil characteristics (pH, water, temperature, nutrient levels) can have a large impact on the species found in the soil. There are both aerobic and anaerobic in soil and there can be as many as 100,000,000 bacteria per teaspoon of soil. These can be single celled and multi-celled and there can be several yards per teaspoon. One celled animals, and there are several thousand protozoa per teaspoons of soil. They are also called roundworms, with 10-20 nematodes per teaspoon of soil being normal. This group includes insects and spiders with the normal population being several hundred per cubic foot. 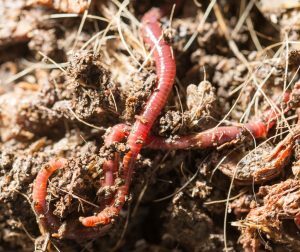 One inch or more long and healthy soils will have 5-30 earthworms per cubic foot. As you can see, healthy soils contain a wide variety of organisms in the soil. From simple single celled organisms, to more complex organisms like insects and earthworms. From a farming perspective, a diverse and active population of soil organisms has four main benefits; nutrient cycling, enhancing soil structure, enhancing plant growth and controlling plant disease. Each of these benefits could be a topic on their own. Probably the most important from a farming perspective, soil organisms, particularly soil microorganisms, help store nutrients in the soil and create new organic nutrients. Soil organisms are continually transforming and recycling nutrients. The key tasks of decomposition, mineralization, immobilization and mineral transformation are all performed by soil organisms. Crumbly, well aerated soils tend to support the most crops. Soil organisms are the key component of soil structure. Beneficial soil bacteria and beneficial soil fungi produce a wide variety of plant hormones. These hormones stimulate plant roots. Soil organisms have a wide variety of ways to deal with plant predators. Some of the microscopic organisms complete with pathogens for food sources. Insects and protozoa tend to consume some of the harmful plant organisms, keeping their populations in check. Each type of soil organism fits a unique niche, playing a different role in nutrient cycling, enhanced soil structure, and controlling plant diseases and plant predators.